High torsional rigidityand extremely compact body. 1 arc-min of low backlash. 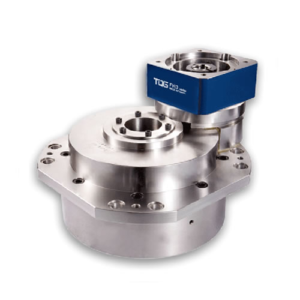 Large thrust & overhung moment capacitythanks to the integrated angular bearings. 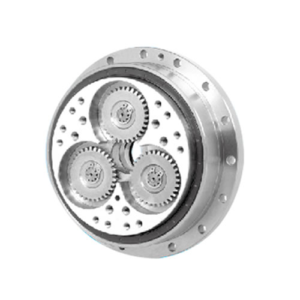 High Ratios are in available (up to 258:1) without increasing the sizeof gearbox. 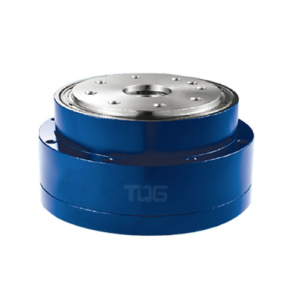 The TQG RVM cycloial gear reducer is a kind of solid gearbox which is designed for accurate motion control such as the robotic industry. 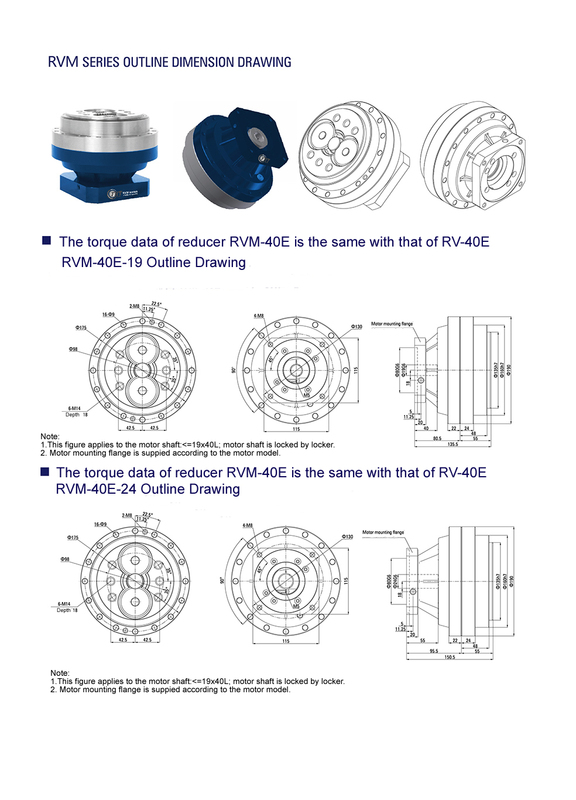 The RVM robotic reducer features of flange input which is based on the RV-E series reducer. 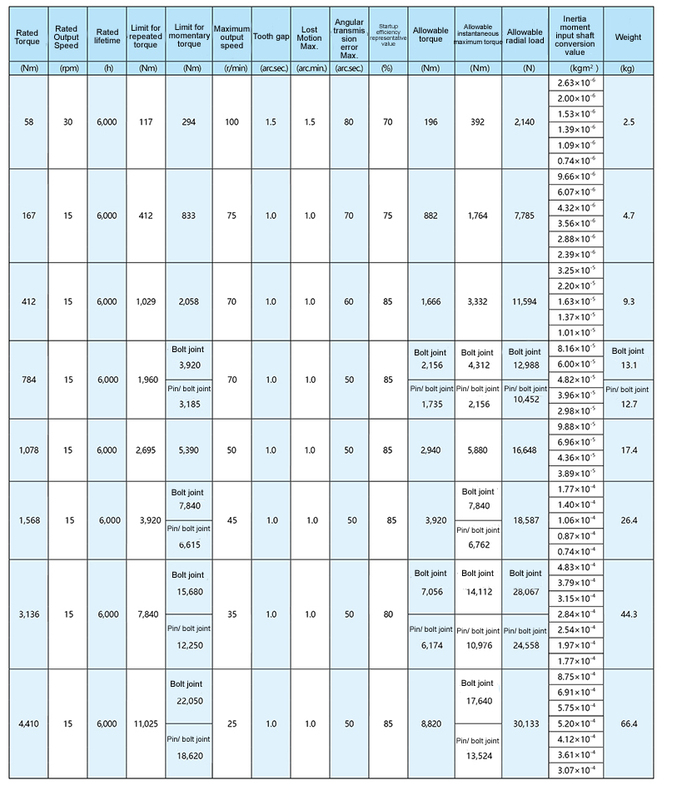 All the specifications are the same with that of RV-E series. Compared with the precisous series robotic reducer, the total axial length is decreased by 15% of the previous ones. 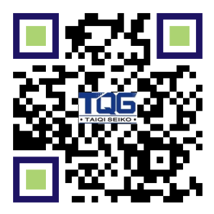 The Taiqi Seiko RVM cycloidal gear reducer is characteristic of light weight and high rigidity with the compact structure which is suitable for the overload situations. What’s more, the advantages of free backlash, micro rotating vibration and low inertia guarantee the high speed rotating, high positioning accuracy and smooth operation. 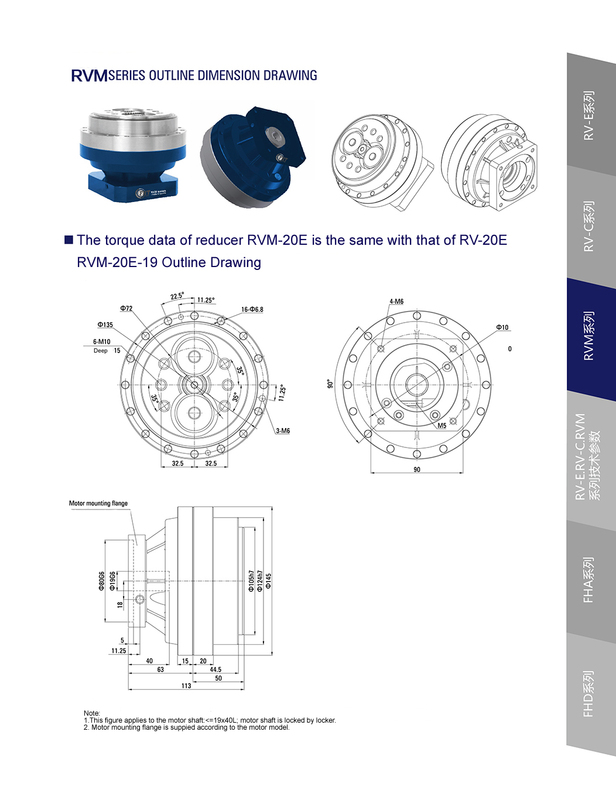 The RVM series cycloidal gear reducer is an ideal speed reducer which is special designed for precision mechanical control in the fields of machine tools, factory robots, assembly equipment, conveying machines and other related fields which has the requirement for precise positioning, high rigidity and shock-load capacity. 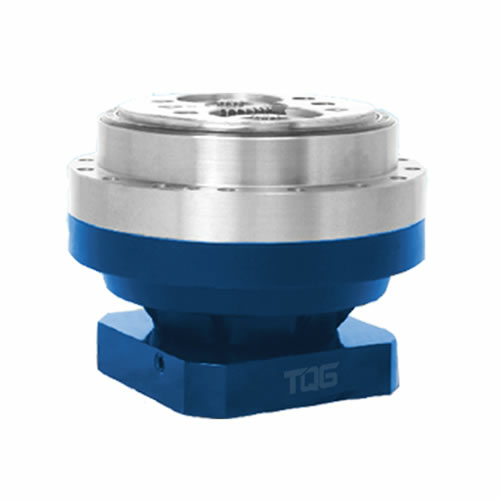 The TQG RV-M cycloidal gear reducer belongs to the standard inline gearbox which provides excellent operating performance in an extremely compact and high rigid component configuration. 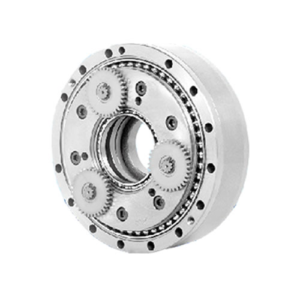 The built-in angular ball bearings could support the external load so that the RVM robotic gearbox has higher reliability and cost-benefit. 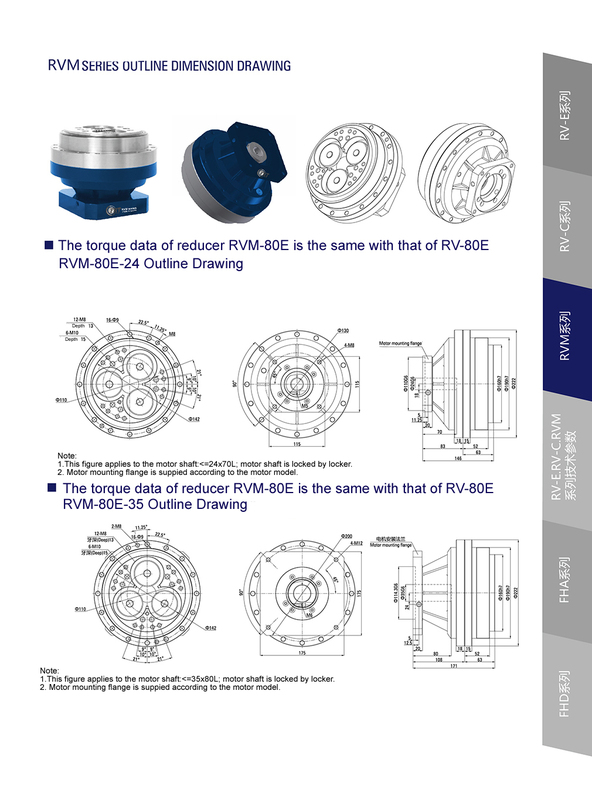 The rolling contact components ensure the high efficiency and long service life of the RVM cycloidal gear reducer. Furthermore, the spur gear reducing mechnism and differential gear reducing mechnism reduce the vibration and inertia greatly and at the same time increase the ratios. 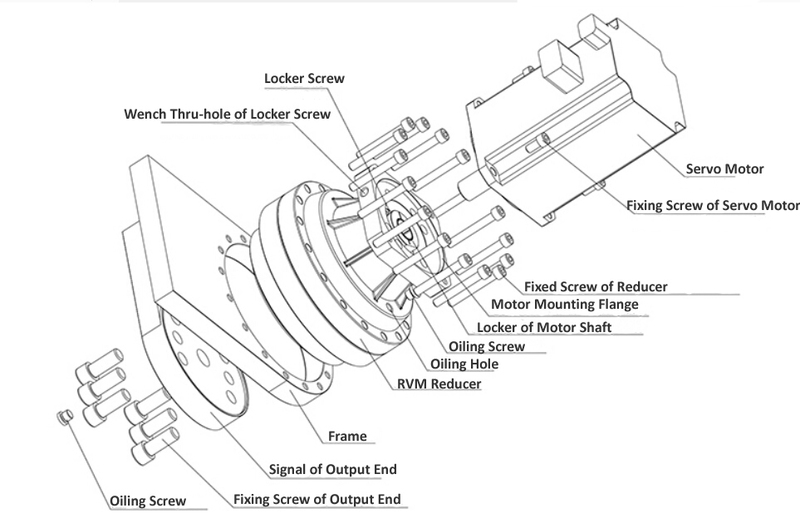 Besides, Belt/pulley configuration is also available for RVM cycloidal gear reducer.